If you live in the US, you'll have undoubtedly heard of Walmart. Walmart is one of the largest discount department and grocery stores founded in San Francisco by Sam Walton. In 2000, the company developed an online distribution channel that mimics Walmart's in-store offering and continues to be a huge success today. Each week, over 260 million customers visit Walmart's 11,695 stores under 59 banners in 28 countries. Walmart also sells through multiple e-commerce websites in 11 countries. The number one goal of Walmart.com is to offer their customers easy access to more of Walmart through the 1,000,000+ products currently available for purchase online. The company is passionate about combining technology and world-class retail to provide "Every Day Low Prices" through a wide assortment of their customers' favorite products. There are also many products available to buy from third-party vendors through the Walmart Marketplace program. This gives select businesses the opportunity to sell their products to Walmart's customers online for a small referral fee. The mix of products by third-party vendors and Walmart is what makes their online store so unique, and customers are unable to tell the difference. You don't have to be a member to shop through Walmart.com. Walmart conveniently offers free 2-day shipping to your home if you spend a minimum of $35. However, you're encouraged to arrange pick up from your local store, as you can receive special "pick up discount" across certain products if you choose this option. Unfortunately, Walmart.com doesn't ship internationally, but Canada has their own Walmart website. "...newest products at low prices." "One of the things I love most about Walmart is the selection of unique professional vendors; you honestly get more selection from their online store than their brick and mortar." "Great deals and free shipping - I love this store!" "A perfect shopping experience...customer support is top notch." Negtive reviewers offer an array of complaints, such items not shipping, difficulty making returns, and receiving the wrong item. You can find your nearest Walmart through the website's Store Finder. Enter your zip code, city, or state into the search box, and the map will show you the closest Walmart stores in your local area. It will also let you click through to Google Maps so you can find directions to your chosen store. The great thing about Walmart stores is they're open 24 hours, 7 days a week. 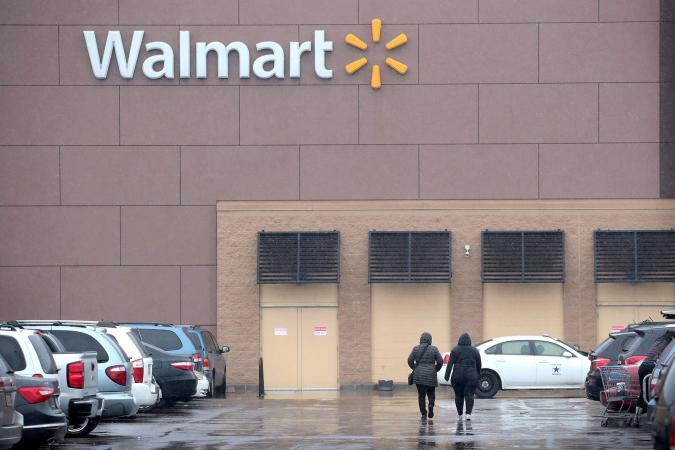 Walmart employs approximately 2.3 million people worldwide. If you're looking to be a part of the team, whether in store or in the corporate office, you can visit Walmart's Careers website where you can search for current job listings in your area. You can also apply online by following the instructions. Walmart.com offers just as much product choice and variety as their physical stores, and perhaps even more with the introduction of Walmart Marketplace. Whether you prefer having products delivered to your home or picking them up at your nearest store to receive special discount, Walmart.com provides an easy and convenient shopping experience for all.